The WordPress REST API is a new addition to the WordPress core and has the potential to change the way we interact with WordPress. With the REST API, we can build web or mobile apps that harness the power and reliability of the WordPress CMS. In this video tutorial from my course Introduction to the WordPress REST API, we'll explore the API by sending a GET request to the index route. I'll also show you an easy way to check if the WP REST API is actually installed and enabled on a website. You'll learn how the index route documents all the routes that the WP REST API provides, their endpoints, and their respective supported arguments. In the full course, Introduction to the WordPress REST API, you'll learn everything to need to know to get started using the WordPress REST API. You'll start by taking a look at some fundamental topics like HTTP, REST API, and JSON. 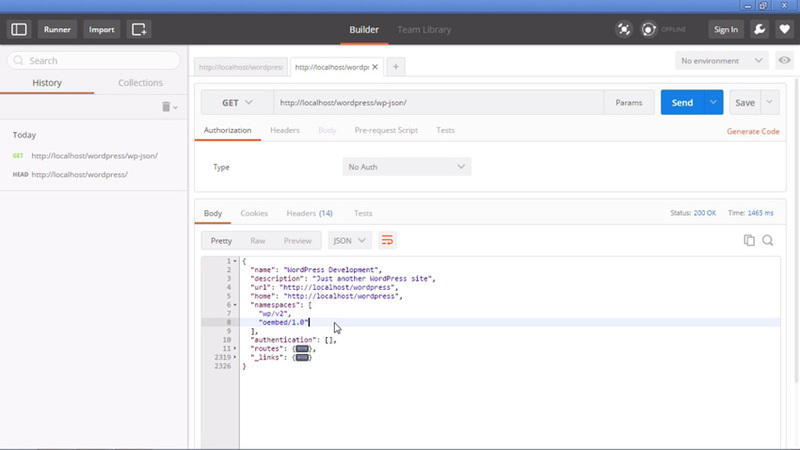 Then you'll go on to experiment with the WordPress REST API with the Postman HTTP client. Finally, you will learn to use the REST API with jQuery to retrieve and create posts from a front-end web interface. And if you want to see what else you can do with WordPress, check out some of the thousands of useful WordPress plugins available on Envato Market.